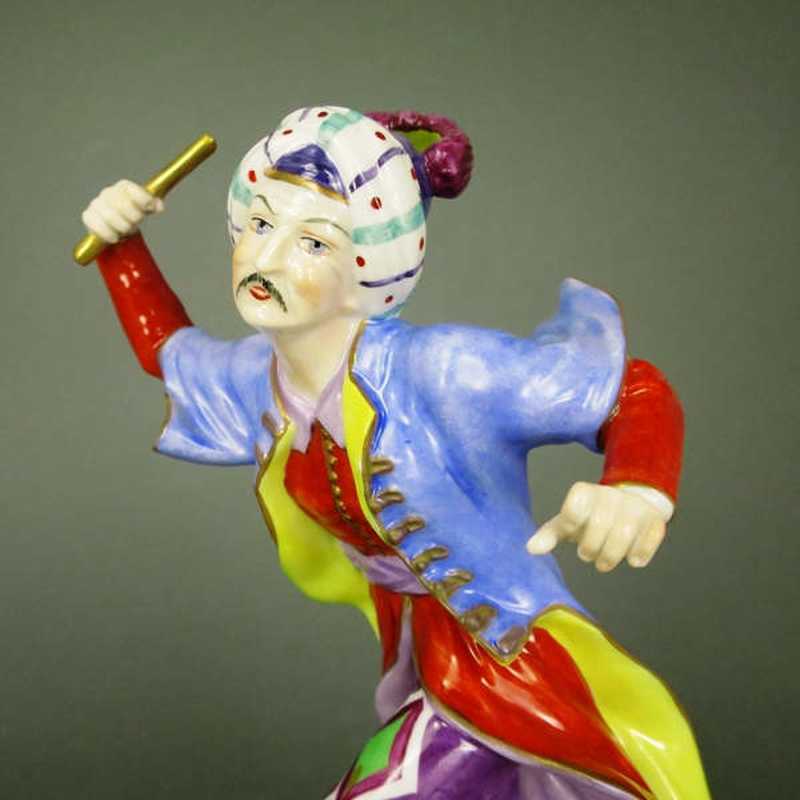 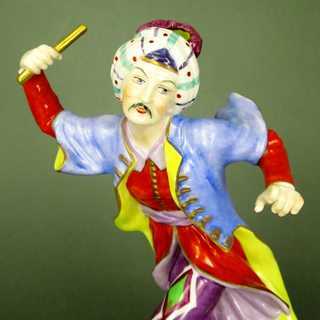 Gorgeous colored figure of a dancing man in oriental (turkish-ottoman?) dress. 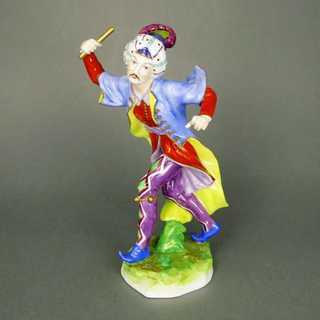 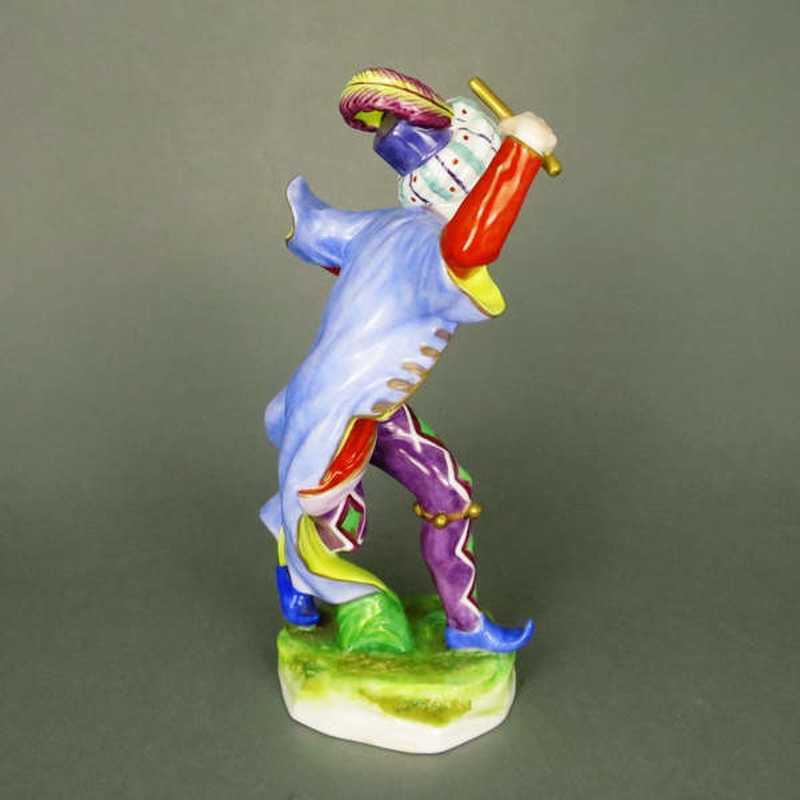 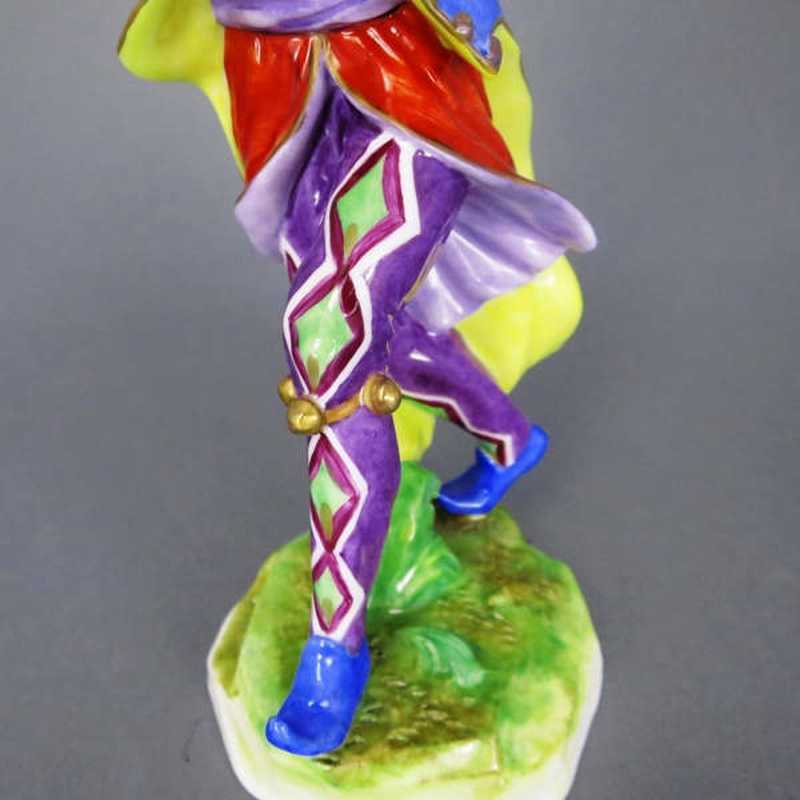 The dancer is standing on a round base and has multicolored clothing: blue beak shoes, violet-green slim trousers, a n orange-red shirt with long arms, which is hold in the waist with a light violet shaws and a light blue, yellow lined jacket with half arms and a long tail. On his head he is wearing a turban over a felt hat, decorated with purple ostrich feather. Under his left knee he is wearing a band with metal bells, in the right, raised hand he is holding a short sceptre. 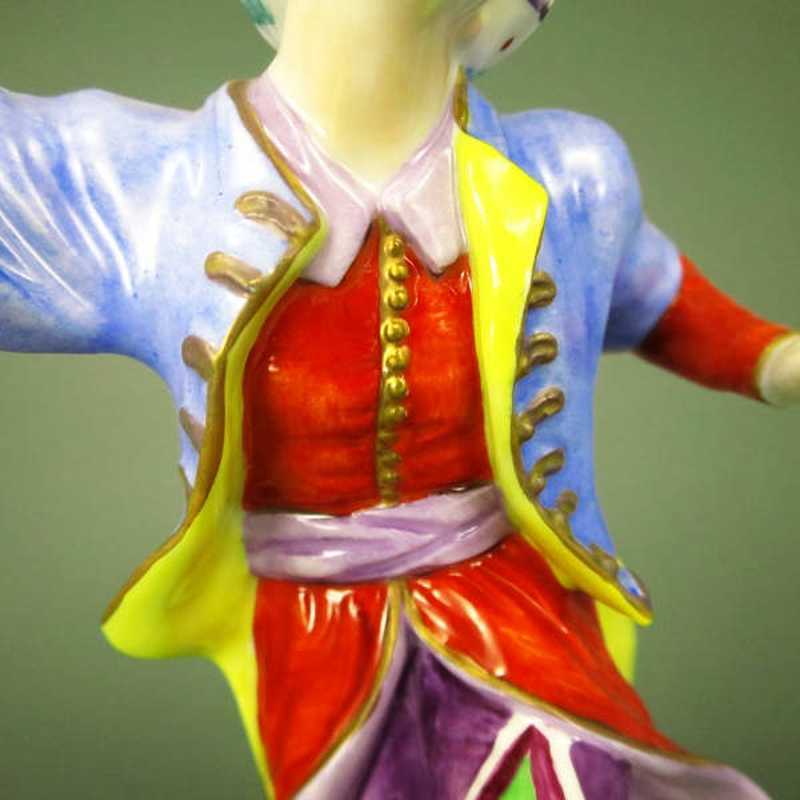 The colors are very fresh! 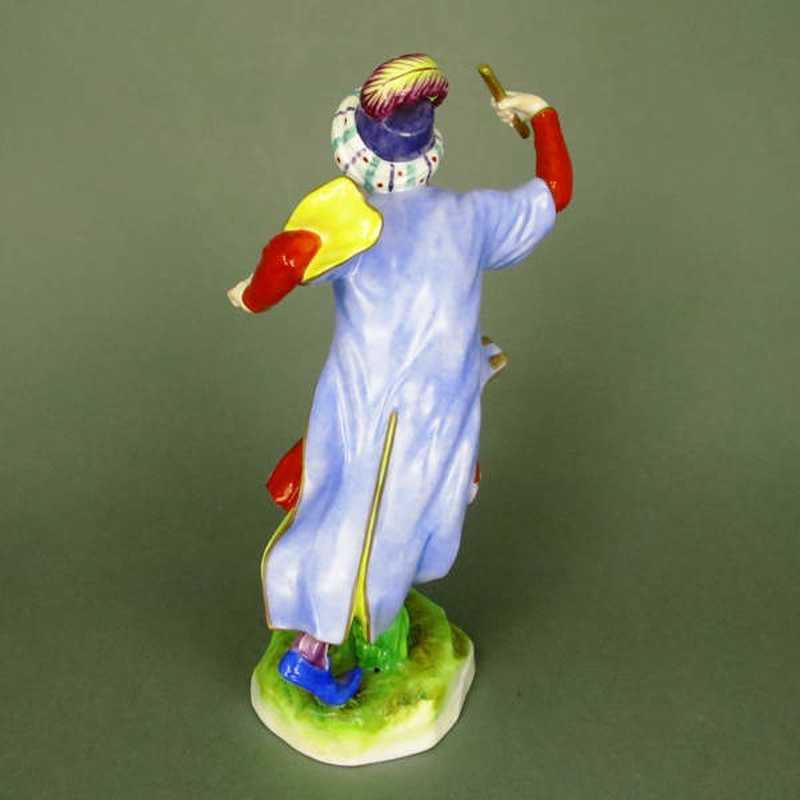 Hand made, hand painted and hand gilded in the porcelain manufactory Aelteste Volkstedter Porzellanmanufaktur in Thuringia, marked. 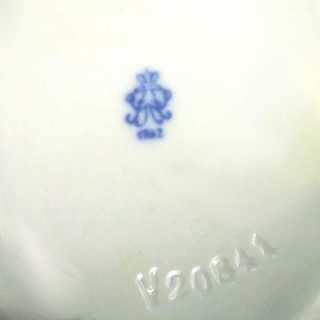 Condition very good.